Owens belongs to a small fraternity of artists who use classical techniques to depict contemporary subject matter. Within this is an even smaller group: Artists that have won highly competitive grants, scholarships and commissions both public and private. And within this, a still smaller group: Artists that can both sculpt and paint. From Michigan to Florida; from applied scientist to sculptor; Owens has made an improbable journey into the world of art and the continent of his soul. 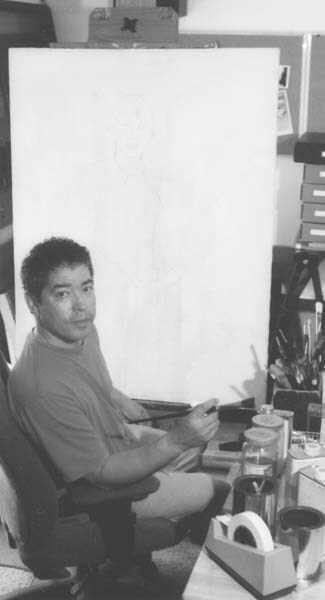 He was born in Detroit, MI in 1958 to Katherine J. Owens, an educator and Carl C. Owens, a freelance illustrator and Staff Artist for the Detroit Board of Education. He grew up in a pleasant lower middle- class neighborhood on Detroits west side. Carl C. Owens became one of Americas first self-employed African American illustrators to contract directly with national corporations such as Ford Motor Company. 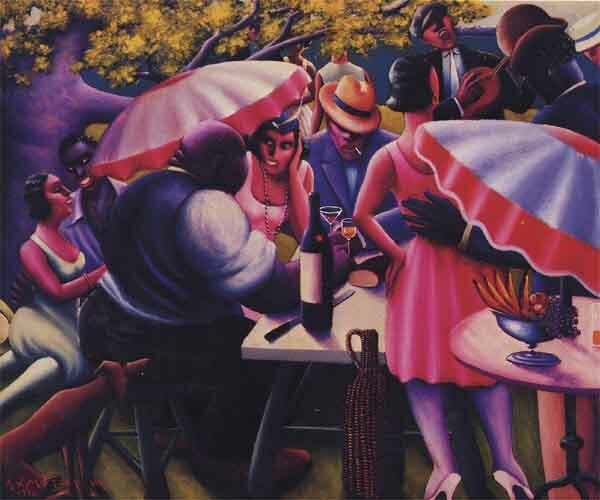 With his fathers encouragement, Owens held his first 2 man exhibit at the age of 16 at a fine art gallery in Detroit. As a young adult, he set his artwork aside to pursue other interests. Years passed before his need to create art took hold again. Owens relocated to Florida to work for a defense contractor in 1981. He continued his art education by assisting professional sculptors at their studio foundries where he learned how to cast bronze and continued to develop through private instruction, non-matriculated courses, open studio sessions and workshops. Interest grew into obsession until a mass layoff catalyzed the beginning of his artistic career at the age of about 33. During the 90's Owens created his first line of limited edition sculpture based on an exploration of his heritage. This was during a decade of unprecedented interest in and sales of art by African Americans, known to many as the "Black Arts Movement" and Owens was represented by galleries in Atlanta and Orlando. His self-styled education included travelling to meet and seek the advise of nationally prominent sculptors. He competed heavily for grants and public art projects resulting in a number of awards, including his first major public art commission for the Corporation for Olympic Development in Atlanta (CODA) in 1996, called the Historic Auburn Avenue Relief Project. This involved creating four bronze relief sculptures of historic figures. In the early 2000's Owens was cited six times in the Journal of the Portrait Society of America for bronze portraits worthy of example to its members. 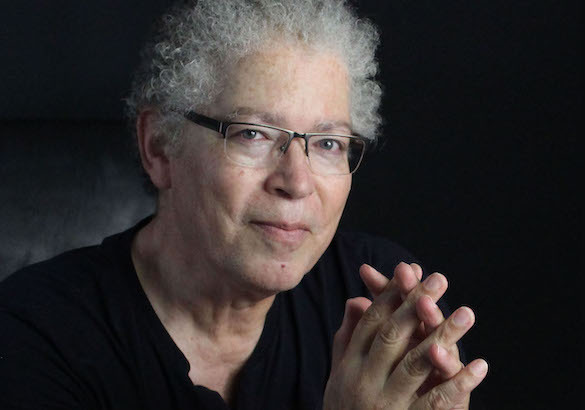 Owens has won six individual artist grants including the George Sugarman Grant in 2006, a competition that involved thousands of visual artists from many nations. In 2007 he helped found the Florida Sculptors Guild along with founders Amy Wieck and Linda Moore. Owens is known as a sculptor who works mostly on a commission basis. But a closer look reveals his range as a visual artist, including works in oil, acrylic, pastel and pencil. In 2010 he completed a mural that included 16 portraits for a private client. In 2011, Owens completed the St. Augustine Foot Soldiers Monument that is now a permanent feature of historic St. Augustine, FL. In the fall of 2012, Owens was cited for the fifth time in the Journal of the Portrait Society of America and won the Florida Historical Societys David C. Brotemarkle Award. He completed a life-size bronze of Dr. Arthur Harold Parker for Birmingham Board of Education in 2013. In 2017, Owens completed work for multiple clients including a collaborative sculpture with Richard Bennett for MSU College of Law and a monument to Frankie Muse Freeman for NAACP St. Louis. During the last decade, Owens interests expanded to include audio podcasting and writing. "Art is not something I do, its who I am", said Owens. "I didnt choose to be an artist, it chose me. William H. Gass predicted my own feelings when he said that people like myself are here to add to the worlds objects and ideas those delineations, carvings and symphonic spells as ought to already be there. To make things whose purpose is contemplation and appreciation". Brian R. Owens, Back in the day. A competitive grant awarded by the the South Florida Art Center, Miami Beach, Florida and funded by the NEA, Rockefeller and Andy Warhol Foundations. This grant has been discontinued. Winner - Best of Show, The Louis Mailou Jones juried art exhibit, Museum of African American Art, Tampa, Florida, October-December 1992. Now closed. Portrait Society of America, Washington, D.C. Fractured Atlas, New York, N.Y.
(This is a new guild that Owens is proud to have helped establish. "17-1" (Volume 17 Number 1, Year 2000), page 35.
produced by Hampton University Museum, Hampton, VA.
Winter Issue, Feb-March 1999, page 27. Central Florida's Journal of Culture, produced by Orlando Sentinel Communications and United Arts of Central Florida. Art education developed through private instruction, independent and non-matriculated study, workshops, conferences and professional development programs. Has studied under Carl C. Owens, Marvin Mattelson, Kerry Dunn and others. This 3-minute mini-biography accompanies a series of audio podcasts created by Owens and the St. Augustine Art Association. Episode 4 - The Windover People. Owens interview starts about 17 min, 45 sec into the 27 minute program. Click here to visit the Press / Media page.